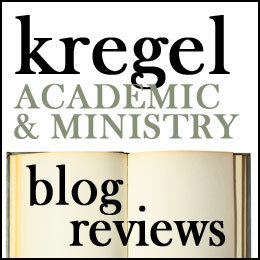 Praying on the Hill: a book review. The Reverend Barry C. Black has served as the 62nd Chaplain of the U.S. Senate since 2003. Prior to that, he spent 27 years in the Navy, achieving the rank of Rear Admiral (OF-7). In February 2017, he provided the address for the National Prayer Breakfast, Donald Trump’s inaugural prayer breakfast as president. His message was inspiring. Go ahead, google it. It is about 27 minutes long and worth your time. It is an inspiring message, powerfully delivered. Black opens his book with an appeal to pray with assistance, that is, noting that as we gather to pray, Jesus is in our midst (Matthew 18:18-20) and the Spirit of God intercedes for us (Romans 8:26-27). Next, Black points to the Lord’s prayer as our model prayer we should pray. In the remaining chapters of the book, Black exhorts us pray with the right spiritual posture and to pray in every circumstance (e.g. Pray with purity, and fearlessly, pray with effectiveness, pray to escape temptation, pray even when God is silent, when we don’t feel like being good, when we need patience, in times of celebration, pray with intimacy, fervency, perseverance, submission, and pray with a partner). Black occasionally illustrates his chapters with his experiences praying on Capitol Hill, and sometimes from his daily life Occasionally he throws in a pop cultural reference or something from history. However, for the most part, this pretty straight teaching from the Bible. Black has helpful and encouraging words for us as we each seek to develop our own private prayer practice. Despite the self help-y, title (“Make Your Voice Heard!) and the exhortation to pray effectively, and with power, what Black says is solid, God-honoring and down to earth. He is no prosperity preacher but is confident that prayers do have an impact on our life and nation. Because I’m a member of God’s family, his promises become mine. I want my life to advance his Kingdom—not mine—and his Kingdom is not of this world. When my behavior doesn’t adequately represent his Kingdom, I should desire to change what I’m doing. I make my decisions based on which choices better advances the priorities of my heavenly Father’s Kingdom (22-23, emphasis mine). So while the Kingdom represents God’s priorities in the world, for Black, praying this prayer is fundamentally about challenging our own personal behavior and self-centeredness. For the first-century disciple praying this prayer, it meant the emperor was not the true king and that the political order was called into question. But Black is surrounded by powerful men and women. So Jesus’ most political prayer becomes primarily a tool for private devotion. Of course, because he exhorts political leaders to pray this prayer in this way, there are political implications. But this offers no systemic challenge.